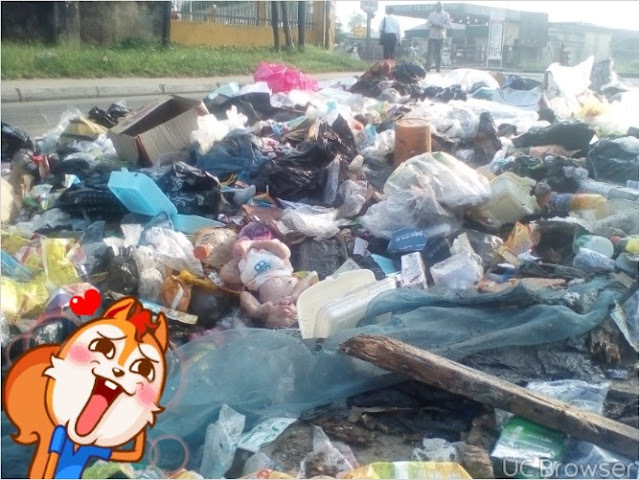 This Morning, rexcharles blog was informed about an incident that took place in Calabar, many People were seen gathering at a waste bin dump in Bateba, Calabar South Local government Area of cross River state, Nigeria. 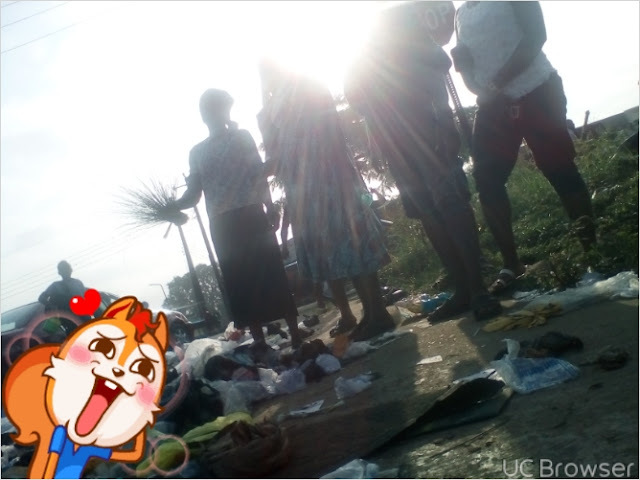 Rexcharles blog learnt that the gathering was because a new born Baby was seen been dumped in a dirty environment by an unknown person. 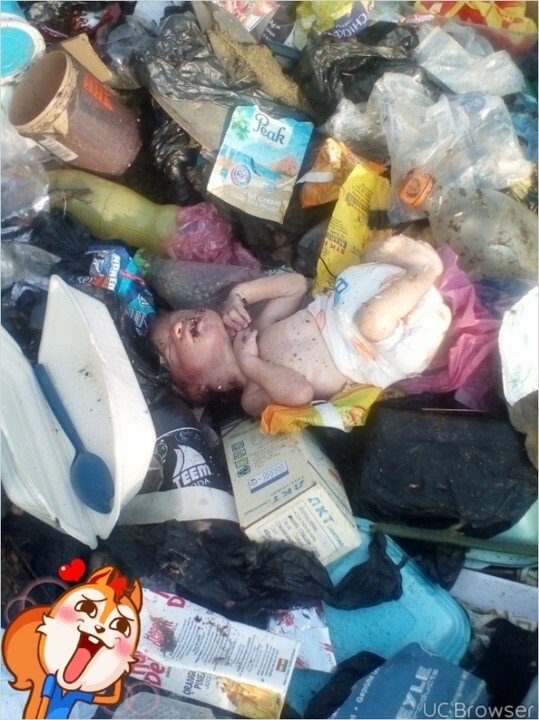 No further information was disclosed if the Child is still alive or dead..
Why punish this innocent child this way, many run from one hospital and prayer house to another just to conceive a child and here a wicked mother discard one like a piece of paper. May God forgive the mother. This is what some couples are badly looking forward to have and can afford to part away with anything material just to have it but here u see someone have it and chose to drop it in the dust bin.Wicked and heartless world. The way Africans treat single moms contribute to actions like these. Hmmmm, God forbid bad thing. 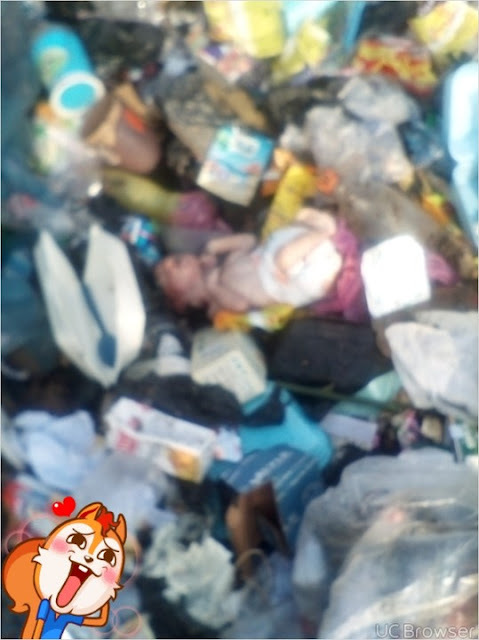 Anyway the mother of the baby might still be among the eye witness there. Just to see what will eventually became of her baby. Probably the baby was born out of wedlock..
Ho Lord, out of your bountiful love and benevolence. Give the tribe of igbo, compassion & empathy for mankind. We are afraid of your vengeance for the victims, so that it will not affect the innocent Nigerians, who knew nothing of the crimes. Lord reduce the love of money in the heart of igbo tribe, for they have killed many in the quest to make money.